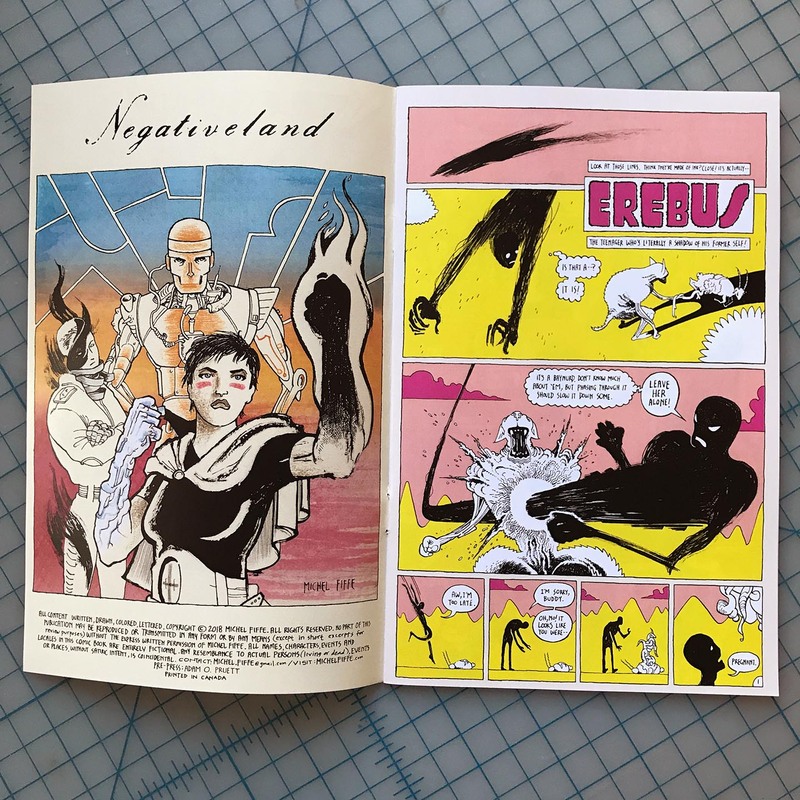 NEGATIVELAND was published exclusively for Michel Fiffe’s Patreon supporters as a signed, numbered, and hand-stapled* limited edition mini-comic featuring the cast from COPRA #27 in their own debut issue. 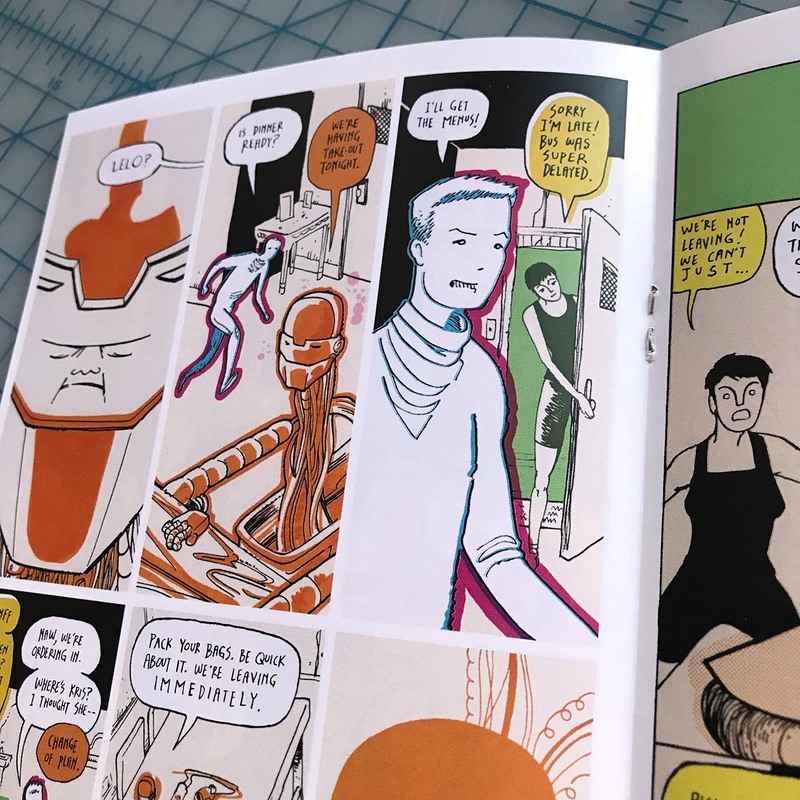 Though all 30(1) physical copies of this full-color 24-page comic weren’t printed for resale, you can read it over at comiXology! *NEGATIVELAND was delivered to us with the wrong pagination (! ), so I destapled every copy, properly arranged the sheets, and hand-stapled the things myself, old-school zine-makin’ style. 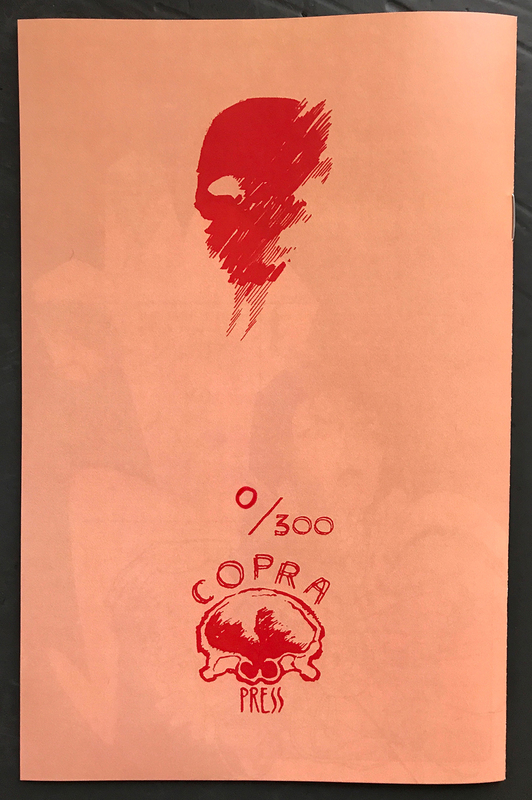 The NEGATIVELAND cast made their debut in the Michel Fiffe Portfolio (January 2016), but their first narrative appearance was a few months later in COPRA #27 (July 2016). 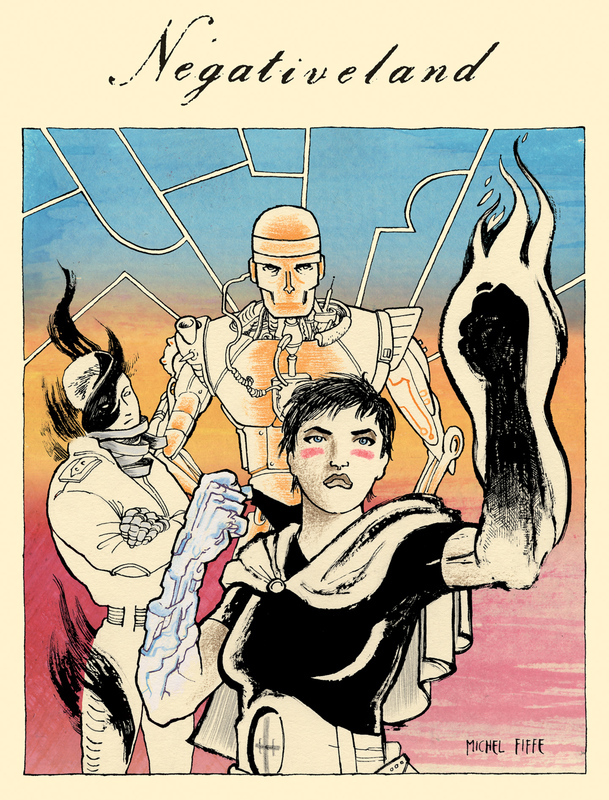 The story introduced the family of Lelo, Neesha, and Erebus who crossed paths with Copra, who were traveling through different dimensions and stumbled upon “Negativeland.” The Carl Barks-inspired meeting was brief, but Copra had made its mark on the trio, especially Neesha. Cut to five years later, and we find the cast still going about their business in that far-off dimension. 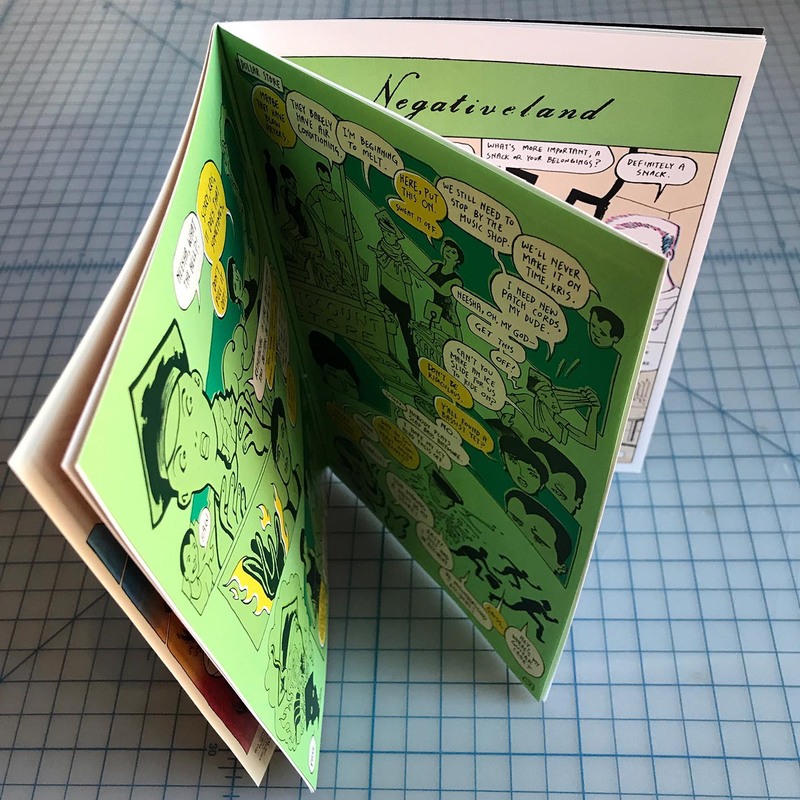 That was the starting point for the “Negativeland” mini-comic, which was originally serialized (May-December 2017) over on Patreon. I wanted to focus on all three members of the family before bringing them all together. 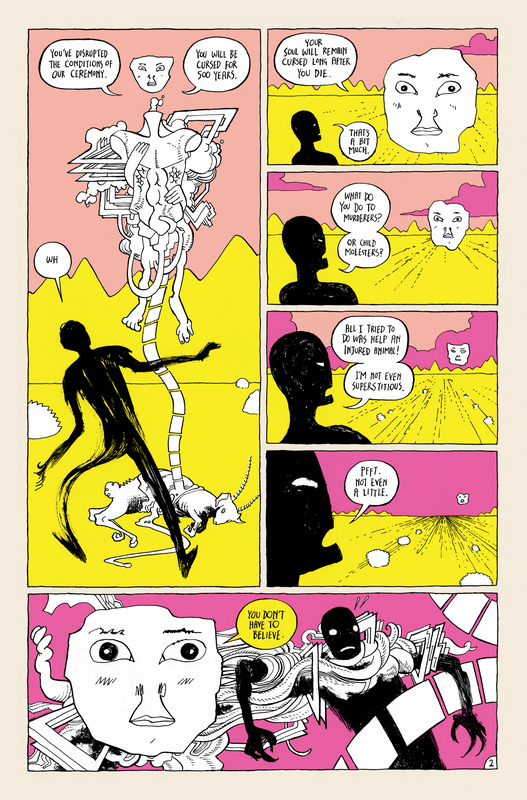 This meant that I would give those chapters their own visual identity: their own color palettes, panel formations, and style of drawing. 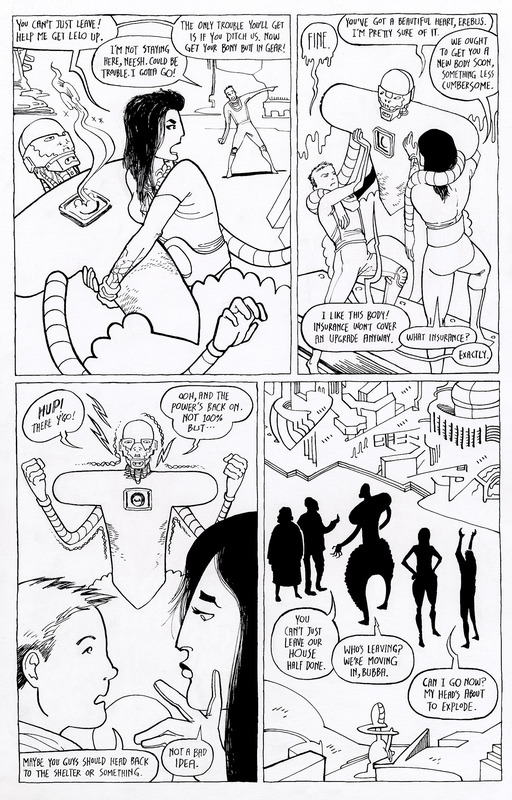 When Erebus, Neesha, and Lelo eventually meet up, approximately halfway through the mini-comic, all of those style mesh into a singular tone moving forward. 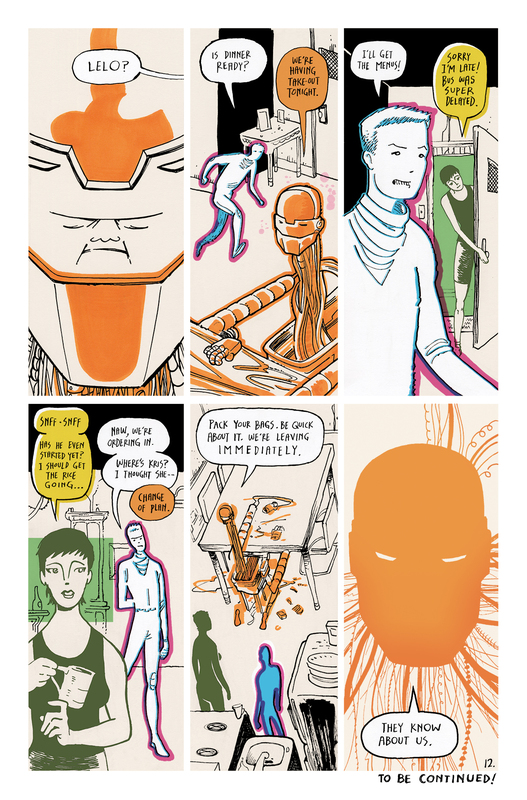 One of the reasons NEGATIVELAND needed to exist was to allow me the avenue to try things that wouldn’t comfortably fit within the pages of COPRA. It serves as a satellite idea, but it functions best as its own entity. 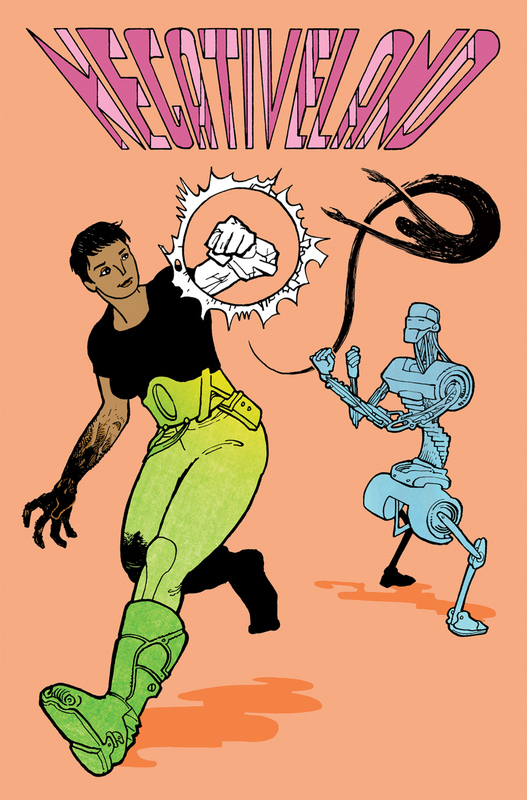 As I was getting more involved in the layered plotlines and tight art that COPRA demanded, I wanted to try something that felt more casual, breezier to follow, and looser in its drawing style. It was another way for me to experiment while trying to be inviting — I’m constantly in pursuit of that delicate balance. 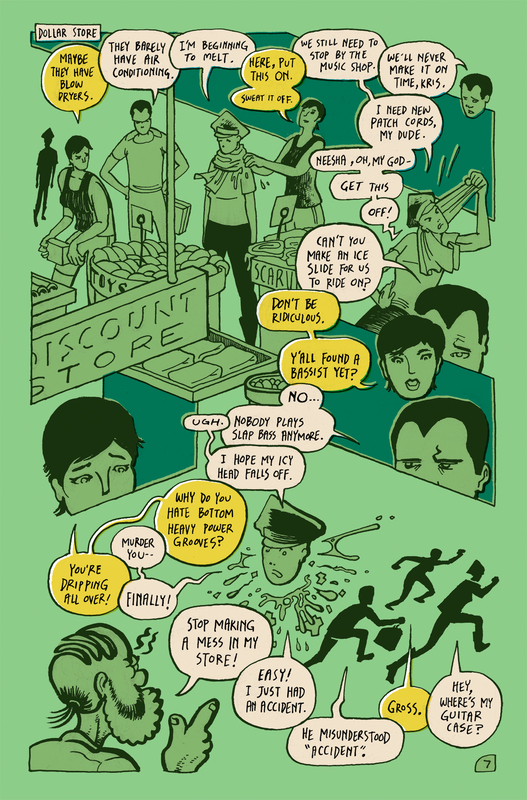 I wanted to tap into the confident looseness of Kyoko Okazaki and the unsentimental abruptness of Mike Baron. From the get I’ve enjoyed the presence of this crew. Looking back after a year of completing their first solo venture, I’ve grown even fonder of Neesha, Lelo, and Erebus. I really like these people. Here’s to fleshing out their world in the future.